An exhaustive report from the New York Times has revealed gaping falsehoods in claims made by US President Donald Trump about migrant movements and smuggling on the US-Mexico border. In repeating unfounded arguments to support the construction of a physical wall along the 2000-mile southern US border, Trump has seized on exaggerated assertions of violence and unrest that have been debunked not once, but many times, according to multiple reports. The inaccuracies voiced by the president include inflating Immigrations and Customs Enforcement (ICE) gang arrest numbers and using domestic overdose death data to overstate drug-smuggling figures. In claiming that smuggling operations from south of the border result in a climate in which "Drugs kill much more than 70,000 Americans a year and cost our society in excess of $700 billion," the US president failed to note that some $627.5 billion of that total is due to the addiction of either alcohol, tobacco or prescription drugs by Americans citizens within America, according to the report. Reports have also noted that a border wall would not help to end the addiction deaths of US citizens due to substances that are already easily and in many cases legally obtainable, according to Nytimes.com. During a Friday statement from the White House's Rose Garden, Trump nonetheless doubled down on many of his consistently debunked claims. 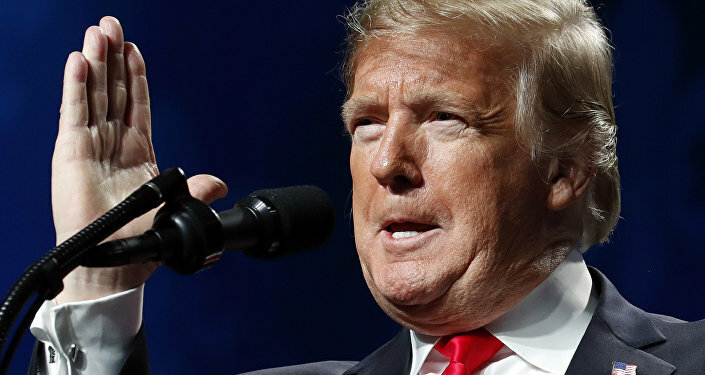 "I believe drugs, large percentages of which come through the southern border, will be cut by a number that nobody will believe," he declared, cited by the Washington Post. Statistics do not support the president's repeated assertions, however, according to Politifact.com, while Trump's declaration that the structure would sharply decrease illegal migrant numbers does not take into account that it could not remove those millions of undocumented immigrants already within the nation's borders. Additionally, multiple studies have detailed that there is no causal link between national crime rates and immigration. While an estimated 90 percent of heroin brought into the US does enter from the south, it is primarily smuggled through legal ports of entry, according to government statistics. The highest percentage of the synthetic analgesic opioid Fentanyl — a controlled substance responsible for a sharp uptick in drug-related deaths in 2017 — enters the US via regular mail from China, according to USAToday.com. Additionally, Trump has continually used exaggerated border crossing numbers, even though the total amount has been steadily declining for almost 20 years, according to US Customs and Border Protection (CBP) figures. "Last month was the third straight month in a row with 60,000 apprehensions on our southern border," Trump gushed," cited by NBCNews.com. But that 60,000 figure, while factoring in an estimated 51,000 who are caught illegally crossing the border each month, adds some 9,000-10,000 people who arrive at legal US ports of entry but are declared "inadmissible" and are turned around. During 2018, CBP noted only an estimated 33,000 border arrests each month, according to the New York Times. The president's questionable assertion that the current climate of human smuggling on the US-Mexico border is "the worst level — human trafficking — in the history of the world," is absurd, noted by many who pointed to the estimated 13 million Africans enslaved by human traffickers between 1525 and 1866, according to PBS.org/wnet. In shifting statements about his much-promised border wall, Trump on Friday stated that "we do not need 2,000 miles of concrete wall from sea to shining sea — we never did," adding that at no time has he made such a proposition. 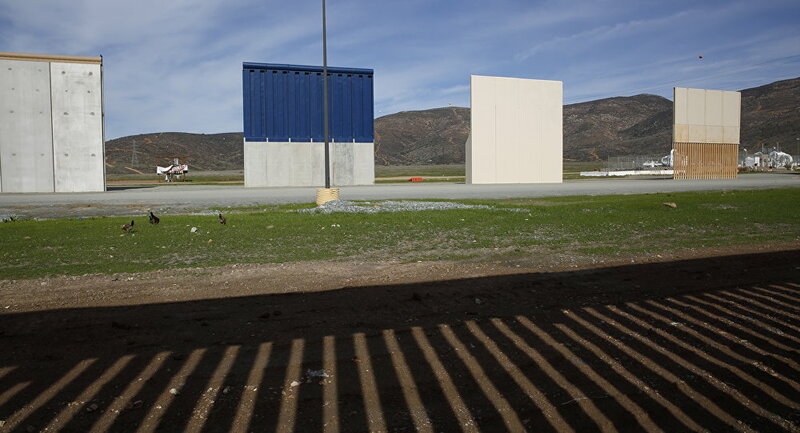 But fact-checking revealed dozens of mentions by then-candidate Trump of a wall that would be, at times, concrete, steel, covered with solar panels and standing at various heights and widths from Texas to California.